NASA’s New Horizons spacecraft will finally reveal Pluto this year, and while its place in the public’s heart was cemented long ago, the planet’s seemingly perfect name wasn’t always the clear choice. The story of Burney’s suggestion is well documented. 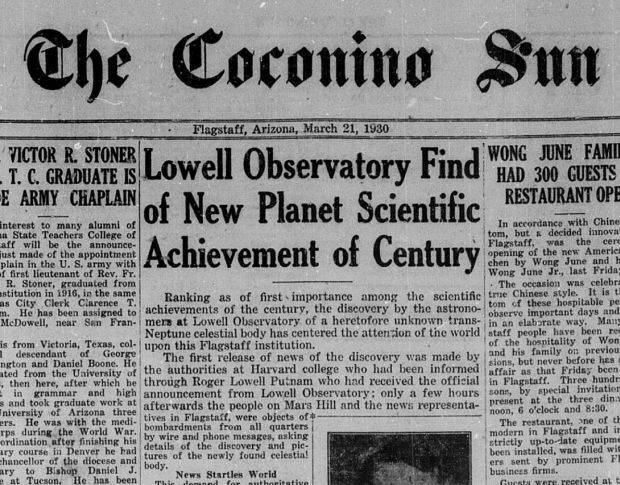 While eating breakfast one morning in mid-March, 1930, her grandfather read about the discovery of a new planet and wondered what it would be called. Young Venetia, who enjoyed mythology, commented that Pluto would be a good name because the new planet was in a very distant and cold region, similar to the dark, remote underworld ruled by the Roman god Pluto. Burney’s grandfather shared her suggestion with British astronomer H.H. Turner, who then telegrammed it to Slipher. As Slipher wrote in the Lowell Observatory Circular, Burney wasn’t the only person to suggest Pluto, but apparently she was the first. In fact, the observatory received dozens of letters and telegrams with all sorts of suggestions. A more poetic letter came from Cora Keller of Illinois. She wrote, “I see most of the … names are mythological. Why tie your new-found world to past ages? Why honour a whiff of ancient imagination with so great a fame? Is not your discovery as real as this earth on which your observatory stands? Who made this discovery? With what equipment, and from whence?